In the Philippines, we start classes in June. We're gonna start school at June 18 and it's near and I have to get ready. I made four tags as you can see. I'm gonna put my name there (ofcourse). I just wrote the name tag themes. 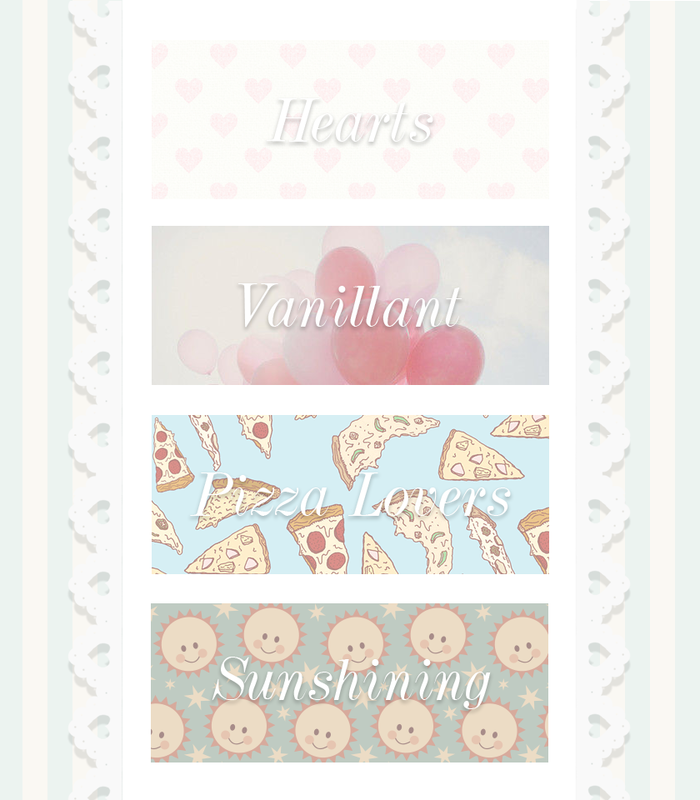 The vanillant theme is what you can see on my header. I really love balloons and I always think of freedom when I see one. Everybody loves pizza. Enough said. Vanillant promotes positivity and happiness. Sunshining theme is based on happiness and sunshine. Follow Vanillant on Bloglovin and Google friend connect! Feel free to share this on Twitter, Facebook, Pinterest or etc. Comment below for any concerns.